Rabbi Matthew J. Zerwekh began his Jewish life at Temple Emanu-El’s Early Childhood Community. His love of social justice and his Jewish identity grew here and he is excited to return to the Detroit area as the spiritual leader of this special congregation. Rabbi Zerwekh earned his BA in Political Science at Western Michigan University before returning to the Temple Emanu-El community as Youth Director. Rabbi Zerwekh earned his Masters in Hebrew Letters in 2013 from Hebrew Union College – Jewish Institute of Religion (HUC) in Cincinnati and was ordained in 2014. 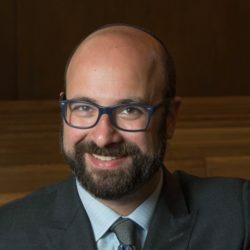 During his time at HUC, Rabbi Zerwekh did his thesis research in the Jewish perspective on death and dying, and while at HUC, created a mobile resource Jewish Resource for families going through the hospice process. During his tenure serving Temple B’nai Israel in Kalamazoo, Rabbi Zerwekh helped to grow the congregation in membership and prominence as a clear voice in the city for justice and Jewish values on behalf of the congregation. Driven by his love of teaching, Rabbi Zerwekh served as an instructor at Western Michigan University. Rabbi Zerwekh has served on panels throughout Michigan representing the voice of progressive, modern Judaism and has taught about Judaism at various high schools and colleges. Rabbi Zerwekh served on the executive committee of ISAAC, an interfaith Social Justice organization, and served as a representative of the faith community on the Board of Directors of the Kalamazoo Foundation for Excellence, a multi-million dollar foundation created to support the City of Kalamazoo and to fund projects within the community. Rabbi Zerwekh is married to Mayim Meyers, with whom he as a daughter, Liliana, a proud member of the Temple Emanu-El Early Childhood Community. Joe Klein served as Senior Rabbi of Temple Emanu-El from 1997 to 2013. He was born and grew up in Toledo, OH and graduated from Oberlin College (Oberlin, OH) in 1969. He majored in Sociology and Anthropology; was ordained from the Cincinnati campus of Hebrew Union College-Jewish Institute of Religion with a Master of Hebrew Letters in 1975; and then served as Assistant Rabbi at Temple Israel in St. Louis MO for three years. 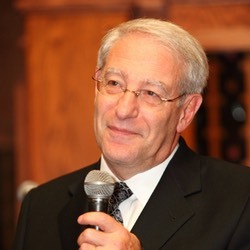 Before coming to Temple Emanu-El in 1997, Joe Klein was Rabbi of United Hebrew Congregation in Terre Haute, IN and Mizpah Congregation in Chattanooga, TN. While in Indiana and Tennessee, Rabbi Klein was adjunct faculty in Humanities at the Rose-Hulman Institute of Technology, as well as Indiana State University and the University of Tennessee at Chattanooga. He taught courses on Genesis, Hebrew Scripture, First Century History, and the New Testament. For ten years he coached the Rose-Hulman Fencing Club. Rabbi Klein and his wife Barbara have two children: Ellie is married and living in Boston with their three grandchildren, and Adam is married and living in Atlanta with their two grandchildren. 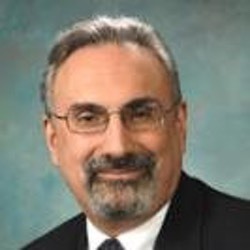 Rabbi Klein currently teaches in the Jewish Federation’s FedEd Adult Education program and is Adjunct Professor at both Oakland University and Rochester College. 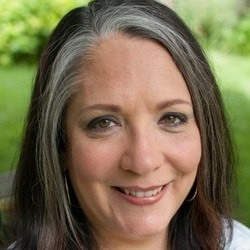 Kelly Onickel, cantorial soloist, converted to Judaism in 1988. In 1989 she and her husband Harry became members of Temple Emanu-El. Since then she has been active in the Shir Chadash Choir, sisterhood, membership, religious, and education committees. Prior to Kelly serving as cantorial soloist, she often lead services when Cantor Norman Rose, z”l, Chaplin Ande Teeple, music directors Steve Klaper and Judy Lewis, or Cantor Darcie Sharlien (all who preceded her in this position) were on vacation or on leave. Kelly has a BA in vocal music, and a minor in Judaic Studies from Oakland University. She is currently attending the University of Michigan – Frankel Institution for Judaic Studies, working towards her Masters in Judaic Studies. Working full time from the age of 15 in many different industries, she has developed a very strong and committed work ethic.In 2006 Kelly made the decision to go back to school in pursuit of her passions in music and religion. Although never working in the music or congregational industries prior to Temple Emanu-El, Kelly never stopped singing. She began studying voice with private lessons at the age of five at Eastern Michigan University, continuing her studies throughout her education. She has studied under such opera professionals as Candice DeLattre, and Nadine Washington, and jazz professionals Danny Jordan z”l, Tad Weed, Sean Dobbins, Dr. Miles Brown, Carl Cafagnia, and Scott Gwinell, and Conductors Michael Mitchell and Bradley Bloom. Kelly and Harry have two children; son Kein and daughter Sierra, both graduates of Temple Emanu-El’s religious school. Kelly is and always has been fully committed to the Temple Emanu-El community and looks forward with great joy to the years to come. Fred and his family have been a Temple family for over two decades. Sarah, Rachel and Josh all attended and graduated from our religious school. Kathleen Alessandro, Fred’s partner for over 40 years, has been a valued volunteer at Temple. Rachel is a member of our Board of Trustees and a former Judaics teacher. Fred served as a member of Temple’s Board of Trustees, Kol Limud, various committees and Synagogue 2000 group and substitute teacher, as well as Treasurer and Religious Vice President. Fred’s careers include sound engineer, community relations associate – Jewish Community Council, attorney and now synagogue management. He is passionate about Jewish life and transforming the synagogue model into a sacred community in partnership with clergy, staff, lay leadership, members and an engaged community. Abi Taylor-Abt has been a Jewish educator her whole career. She was born in London, England and finished school in Israel. After attending college in South Africa, Abi began her career in Jewish education working as the teen director at Moshav Neve Ilan, Israel. She worked as a Judaic studies and Modern Hebrew teacher in England, and became the principal of the Religious School of Stanmore and Canons Park Synagogue in London, with managerial responsibilities for programming and curriculum. 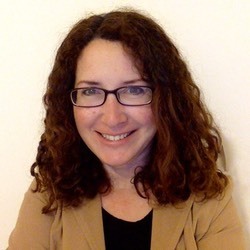 More recently, she was the Kehillah Programs Director in Boise, Idaho before returning to Israel where she was the Director of Program and Curriculum Development at Alon Community School, Kiryat Anavim. Her passion for Jewish education is shown in her belief that Jewish learning is for everybody. Using music and creativity, Abi thrives on running educational programs that bring Judaism into everyone’s daily lives. Abi and her husband Gideon are excited to be in Michigan with their two youngest children, Yael and Ben. Eileen has been Director of the Early Childhood Community since 2007 and has been part of the ECC for most of the past 25 years, as a Nursery Teacher, then as Associate Director of the program, and finally as Director of Student Services, before beng appointed as Director of the ECC. Ms. Brand graduated from Wayne State University with a B.A. 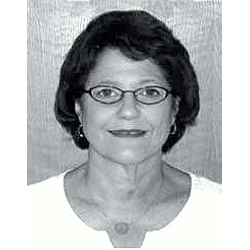 in Education, did post graduate work in Early Childhood Education at Madonna College and attended the Jewish Early Education Enrichment Project of the Federation of Metropolitan Detroit in 2002-2004.For Eileen, the memories and experiences with her Temple Emanu-El family continue to be a significant part of her life. Her own children grew up during her Temple career; she witnessed (and enabled) the growth of the pre-school from a Nursery School to an Early Childhood Community and she has seen many children grow up and return to Temple to share their memories.